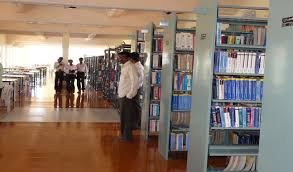 Other important facilities on the Gokula Krishna College of Engineering campus that to ensure students and staff comfort is a canteen with spacious dining halls. Students are given vegetarian and non-vegetarian dishes according to their respective taste. Food is cooked through steam cooking. Students from other states from North as well as south cope up with the catering and food facilities in the hostels respectively. PCD/STD facilities in each hostel, stationary and a convenience shop is run for students convenience.A beautiful well maintained environment friendly green campus provides a congenial ambience for students. There is a strong dedicated and experienced faculty with a strength of 80. A few are pursuing Ph.D Programms in various Universities. Around two hundred supporting technical and Administrative staff are available at the Institute at any time. Gokula Krishna College of Engineering is proud of its healthy atmosphere and culture and a sound balance of formal and non formal interaction that exists amongst faculty and students. The strength of the institute lies in the synergy of the faculty chosen from the cream of academicians. From all over Andhra Pradesh students take admissions from even remote hamlets surrounding Gokula Krishna College of Engineering and they are developed to rise to the level of competing with the students from other cities and states all over India and even abroad. Much importance is given to holistic individual development at Gokula Krishna College of Engineering students are encouraged to participate and excel in sports and are provided with excellent facilities that include many outdoor/indoor playgrounds including games courts. 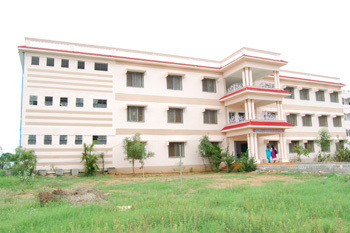 The institute has a full fledged on campus hostel facility for boys and girls. To cater to the accommodation needs of students, the institute has boys hostel blocks with a capaicity of over 800 students and a girls hostel block with a capacity of over 300 students. Three store building of Boys Hostel house independent rooms with ingeniously designed study space. Windows from each room open out to the scenic views of the Swarnamukhi river and Sri Kalahasti hills. This year the institute has also come up with the new style apartment Hostel blocks for both boys and girls separately which are one of its kind in south India with ultra modern amenities. Each room consists of a set of well furnished rooms. One room caters to a group of five students. We have placed as much importance on the bathrooms as on the rest of the facilities. Meals, snacks and soft drinks are available in the institute kitchen serving hygienically cooked food. The hostel premises also house the dining hall, dispensary and infirmary, common rooms, mini gymnasium etc. Each room of the hostel is furnished with box type bed and mattress, study table and a chair, cupboard for books and clothes and a bookrack. A stimulating and holistic living ambience contributes significantly to a superior academic performance. The cafeteria serves wholesome nutritious and nourishing food & luxurious buffet and a la Carte options. There is round the clock computing facility at the computer center. 24×7 internet availability. Round the clock access to library resources. 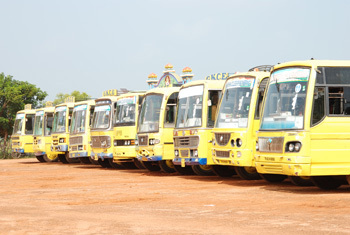 Outing & excursions are regularly planned. College is having a 4 Mbps Internet connection, locally networked to the central server are available for students for their project work and preparing seminar presentations. It also access to e-books, study materials, previous question papers , teaching schedules, internal marks, attendance, daily circulars, etc. through the college Local Area Network. 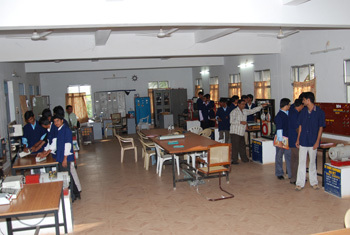 The facility is available to students 24x7.